The USC Thornton Chamber Singers have been hailed as a model of excellence since their inception in 1939. 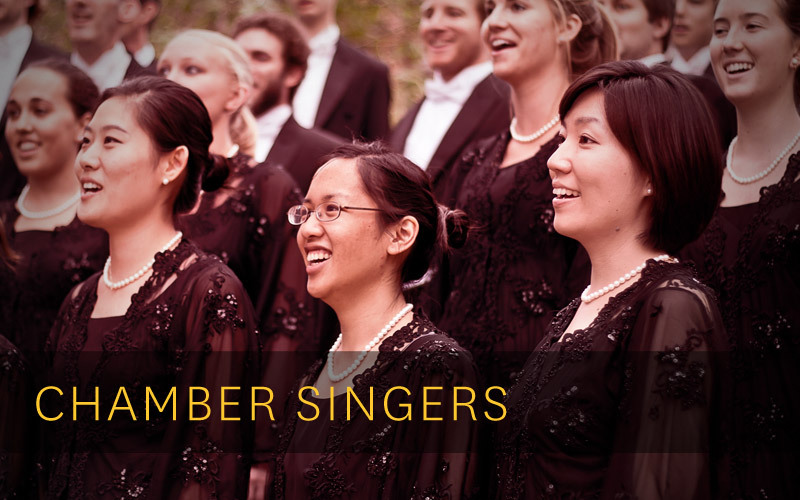 Initially called the ‘Madrigal Singers,’ the USC Thornton Chamber Singers were first formed in 1939 under the direction of Max T. Krone — a professor of music education, composition and choral music, as well as the dean of USC’s former Institute of the Arts. In 1942, Krone brought Dr. Charles C. Hirt, then the director of the Glendale High School choirs and a USC alumnus, to the school as both a lecturer and as Director of the Chamber Singers. Hirt later established and became chair of the Choral and Sacred Music department. In 1956, the Chamber Singers adopted its current name in a move designed to better reflect the group’s repertoire. 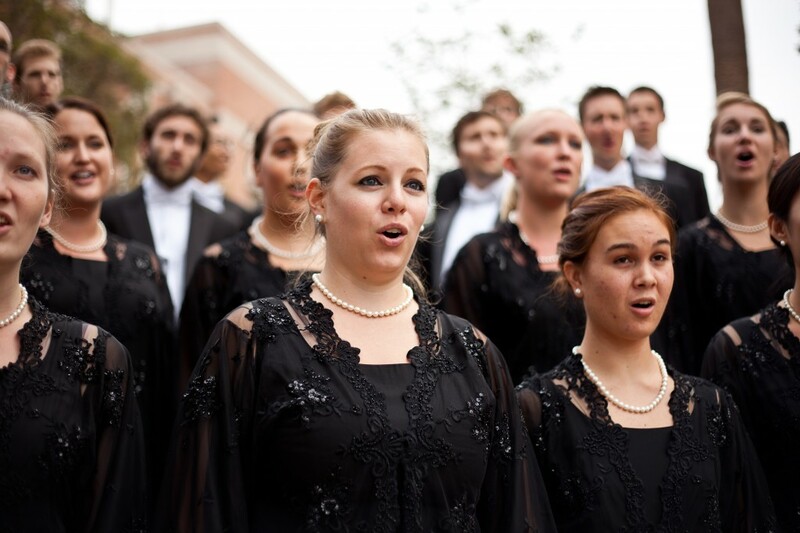 Read more about the group’s history in our Chamber Singers Spotlight. In 2016 the Chamber Singers performed Bach’s Wachet Auf with Jeffrey Kahane and the Los Angeles Chamber Orchestra, an all-English program with Simon Carrington, and Gubaidulina’s fiendishly difficult Sonnengesang with cellist David Geringas for the Piatigorsky International Cello Festival. 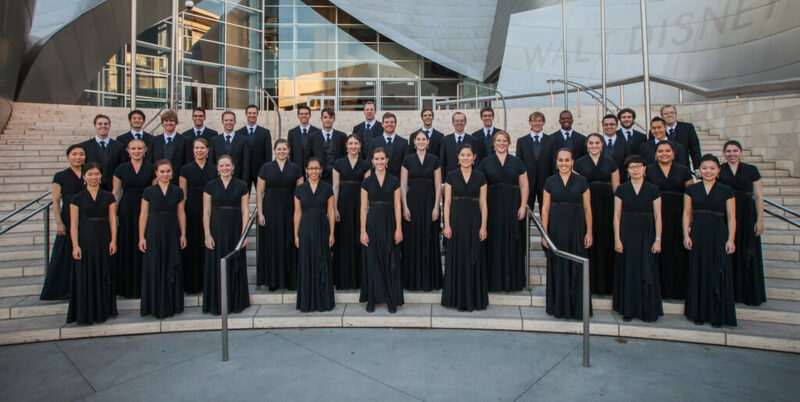 Recipients of the 2015 American Prize in Choral Music, the Chamber Singers have recently performed for American Choral Directors Association conferences, including the 2015 National Convention in Salt Lake City, UT and the 2014 Western Division Convention in Santa Barbara, CA. Also in 2014, the Chamber Singers were one of only 25 choirs invited to the 2014 World Symposium on Choral Music in Seoul, Korea. In Fall 2013, they performed Britten’s War Requiem with conductor James Conlon at Walt Disney and Segerstrom Concert Halls. Chamber Singers also sang with Sir Elton John at USC and the 2013 Emmy Awards. In 2012, the Chamber Singers backed up Barry Manilow at the LA Live Tree Lighting on NBC and The Rolling Stones on the 50 & Counting Tour. They also performed Mozart’s Requiem with conductor Helmuth Rilling and the Los Angeles Chamber Orchestra. Performance highlights during Scheibe’s tenure include: choir-in-residence for the New Zealand Choral Federation “Choral Connect” in Wellington; My Christmas with Andrea Bocelli on PBS; the West Coast premiere of Heinz Werner Henze’s Muses of Sicily with conductor Robert Reynolds; Bach’s Mass in B Minor with Rilling; USC Visions and Voices with conductor Dale Warland; The Tonight Show with Jay Leno; and with Jennifer Hudson at a Shoah Foundation Gala.